To look after me and you. Welcome to Machi’s Pages, dedicated to the memory of a beautiful person with an indelible legacy. 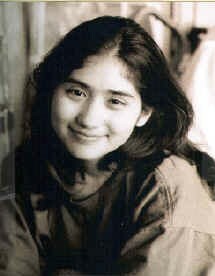 On April 27, 2000, my twelve-year old daughter, Christina Machiko (“Machi”), was diagnosed with a large tumor in her abdomen. Further testing just days later confirmed it to be hepatoblastoma, a liver cancer primarily found in children. My life, and the lives of our friends and family, would be forever altered as a result of the challenge now faced by this special young woman. This site was originally intended as a means to communicate the struggle and triumph of what we all hoped would be only a temporary setback in Machi’s life. Since her passing I have attempted to convert these pages into a fitting testimonial to Machi and to the many people we are honored to have as friends and family. It is also meant as a tool for helping others through challenges in their own lives. We welcome your comments and hope you will return to this site for future changes.